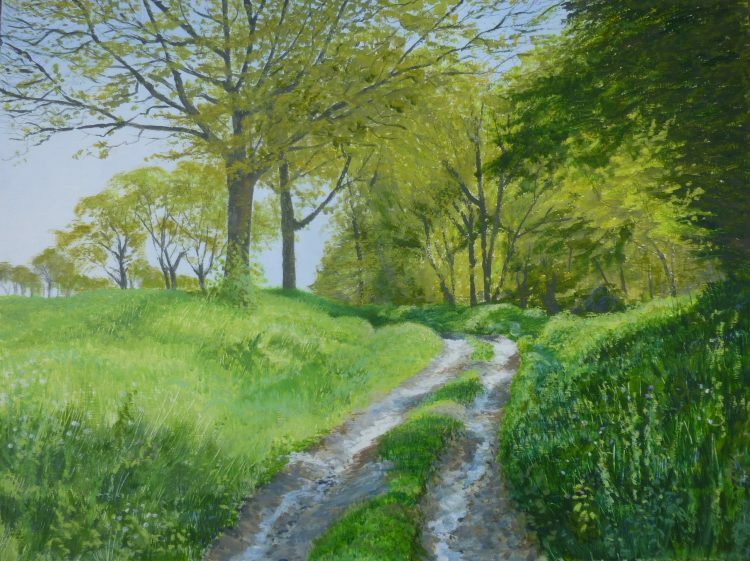 This view is of the lane leading to Hillhouse wood in West Bergholt. I had actually walked down the hill past the wood entrance, down to the fields in the valley. Walking back I was struck by this view looking up the lane. Hillhouse wood is on the right of the picture. 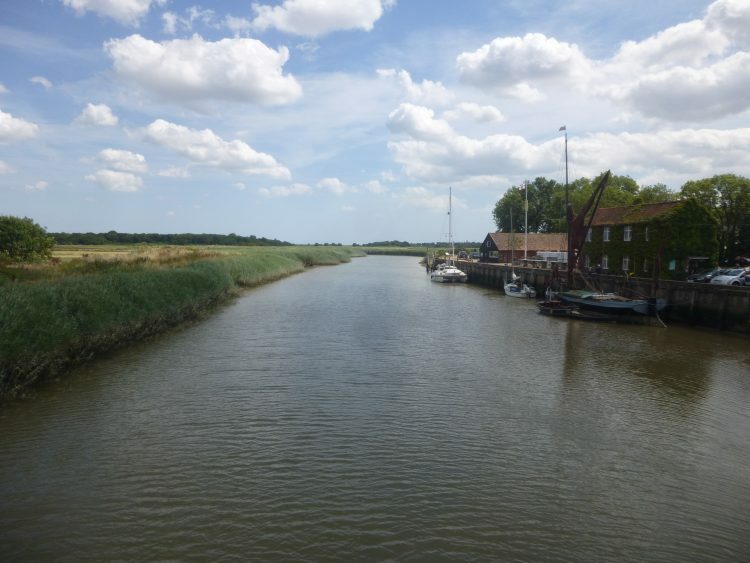 Next up in the studio: I want to get started on my Stratford St Mary river Stour painting. I started priming up the board last night! 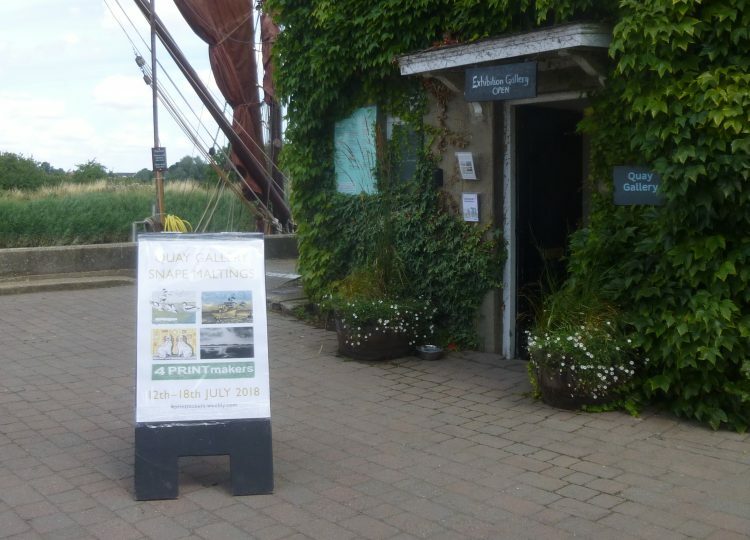 Two exhibitions: The group called ‘Four Printmakers’ – who are my friends Anne Townshend and Miranda Chapman, plus Julie Orpen and Georgie Finn, have an exhibition on at present at the Quay Gallery at Snape Maltings. and a lovely light and airy space. Their work, which is very varied, looks great displayed on the walls, and there are lots of cards and unframed work to buy, too. Tomorrow is their last day – just time to pop in if you are in the area, and well worth a look. From Snape we went up to the Peter Pears Gallery in Aldeburgh, for the Annual Suffolk Craft Society exhibition. We saw lots of great work – including pieces by our friends, Caroline Sullivan, Alison Dane, Cathy Allen, Penny Bhadresa and Dennis Hales. They have all shown at Lexden Arts Festival in the past. The first three exhibited this year at the All Saints Arts Festival in Maldon, too, and Dennis Hales will be exhibiting at Art Space in Woodbridge with Naomi Brangwyn and me, and two other artists in October this year. This show is on until late August, and, again, is very well worth a look. 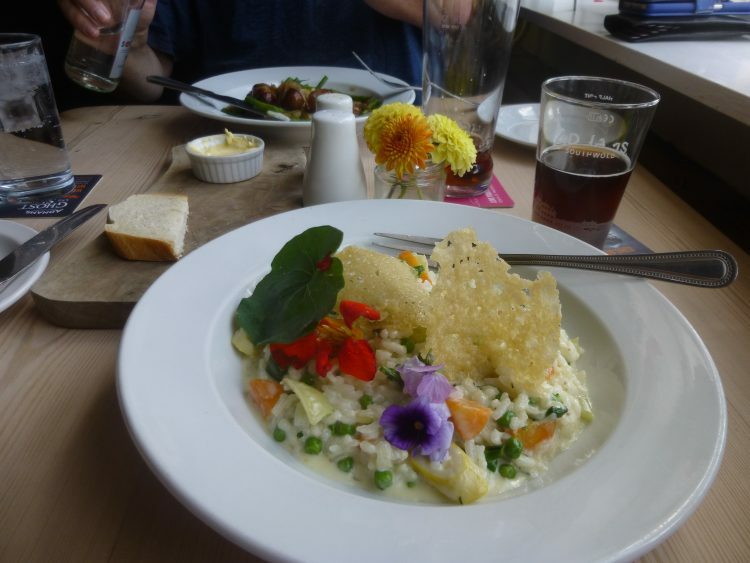 In between the two exhibitions we had a nice lunch at the Crown at Snape, and I had a particularly pretty risotto . . .